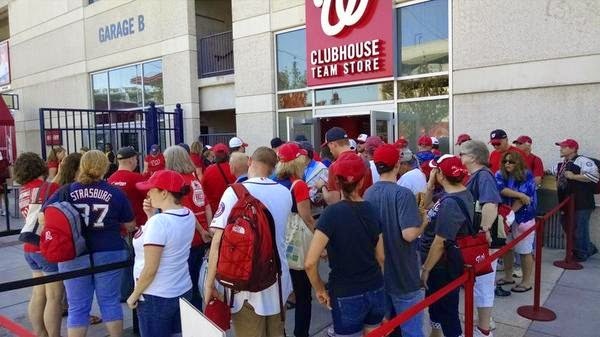 Here's what the line to get into the Washington Nationals team store inside the ballpark on Saturday afternoon. People had to wait in line just to get in the store. Every 15 minutes security would try to get the line (which was moving SLOW) pumped up by having them chant "TEAM STORE" (lol). FYI, this stuff is also available online...Thats like 40 people at least.